Fionn Crow and I have just been accepted to join ShelterBox’s global pool of freelance filmmakers and photographers. This means that at as little as 24 hours notice we could be travelling to locations of natural or human disasters anywhere on the planet to record the work of the charity. It doesn’t promise to be an easy ride. Much of ShelterBox’s work is carried out in hostile environments. In the aftermath of disaster the last thing that people want is someone pointing a camera at them. However I believe we have both been selected due to our experience producing documentaries over the past 20 years. Because we have worked together in some incredibly remote places, and dealing with people as varied as hostile villagers in Papua New Guinea to Somali Pirates. My interest in the work of ShelterBox came about as a result of two weeks spent sailing in The Virgin Islands earlier this year. The islands had been devastated by two category 5 hurricanes in September the previous year – Irma and Maria. ShelterBox as always had been one of the first charities to respond to the human crisis left in the aftermath. But surely The Virgin Islands are wealthy? With their offshore banking and tourism industries you would have expected that a clean-up and rehousing operation would have been speedily undertaken by the government and by Britain and the US who have interests here. 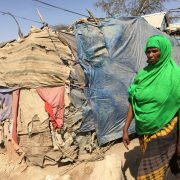 Yet six months after the hurricanes we found people still living in the tents provided by ShelterBox. They were surrounded by the few possessions that they had managed to recover from ruined buildings or from mountainsides where the wind had taken them. We become anaesthetised to stories of human misery on the News. Because there’s always something else, and people forget today’s headline story by tomorrow. Yet for the people suffering amd trying to get their lives back together there is no easy fix. I spoke with those whose lives, homes and businesses had been totally destroyed. Not wealthy folk with insurance and cash in the bank, but ordinary islanders who had been left with nothing. 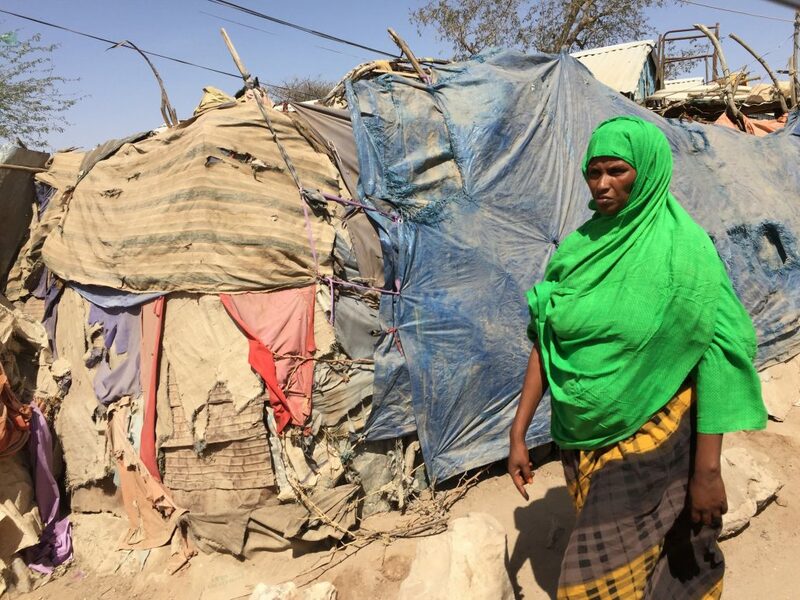 I came to understand how the emergency relief and temporary housing that the tents are meant to provide actually become the only lifeline that they have. 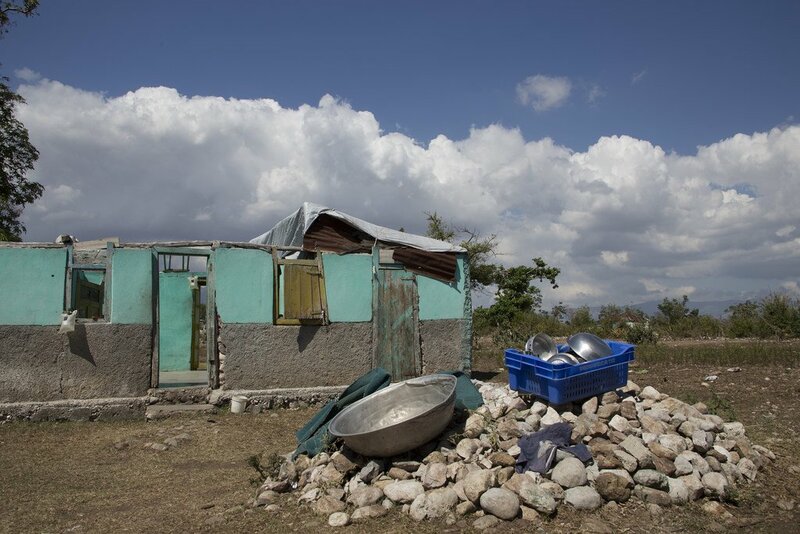 Yet six months after the hurricanes the tents had become their permanent homes. What I saw moved me. I was proud of the work of the Cornish charity. And both Fionn and I were delighted to be selected. And to potentially be in the front line next time that ShelterBox respond to a disaster, natural or man-made. Anywhere in the world. 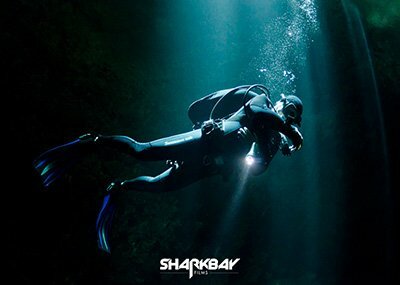 I hope that the images that we capture and the stories our cameras tell will help to raise awareness. And that our footage will help to draw attention not only to the work of the charity but to the plight of those that they help. 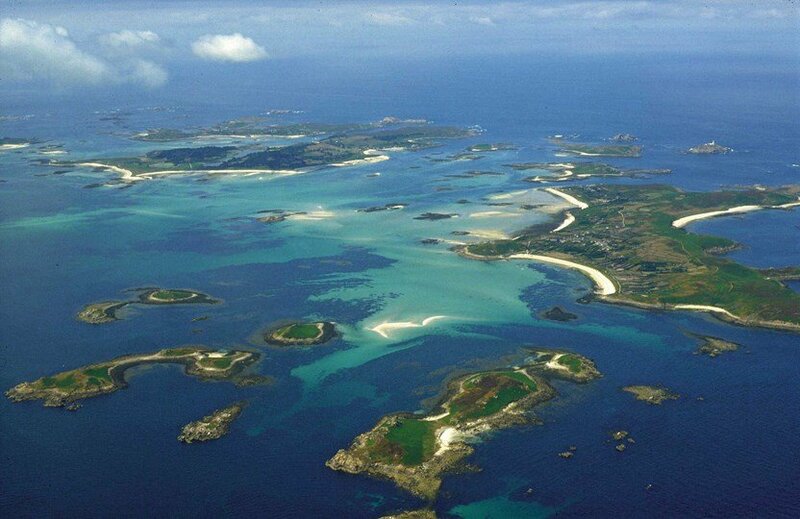 Paddleboarding from Cornwall to Isles of Scilly for Surfers Against Sewage. 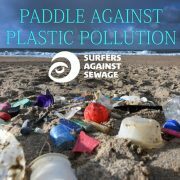 We will be support boat and film crew for this 32 mile Paddle Against Plastic Pollution. 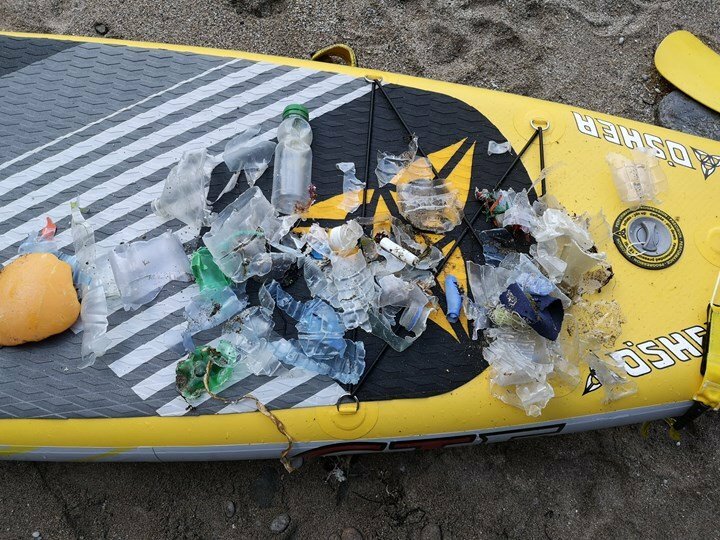 The Ocean needs our help, so let’s try and turn the tide on Plastic Pollution. A team of ten well known local surfers will be facing up to the challenge, being Mike Lacey, Sam Boex, Will Boex, Ben Skinner, Adam Griffiths, Emily Currie, Jayce Robinson, Alan Stokes, Rich Lacey, and Kelvin Batt. 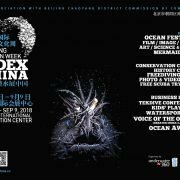 All share the same passion for the beaches and ocean and have an inner drive to stop the plastic pollution that is plaguing them. The team are coming together to tackle this mammoth journey on paddle boards which O’Shea have kindly sponsored for the task. Nice one O’Shea! 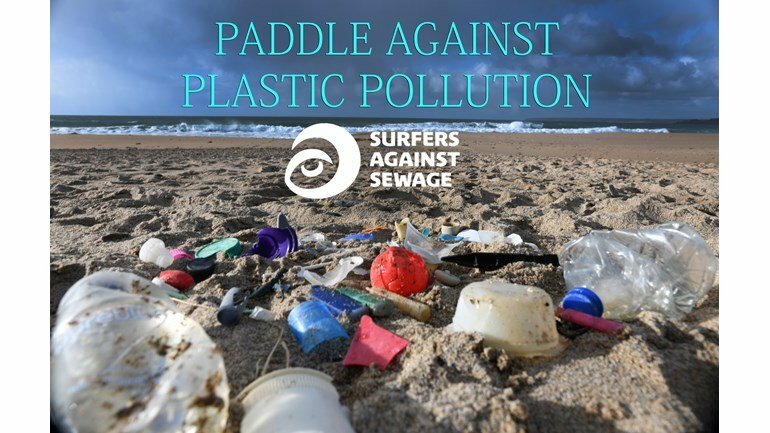 The aim is to raise £5000 for Surfers Against Sewage so they may continue their fantastic work campaigning to keep our oceans and beaches clean. The route – leaving Porthcurno at dawn the team will initially hug the Cornish coast. Then it’s out into the open ocean, heading for the Runnelstone Buoy to avoid the strong currents and tide race along that stretch of sea. By the time the first smudge of Scilly’s eastern Islands appears on the horizon there will be some extremely tired paddlers! Here are some crazy facts and figures to get your heads around why we need to act and act fast! Annually approximately 500 billion plastic bags are used worldwide. That’s more than one million bags every minute. Nothing that we use for just two minutes should pollute the ocean for 500 YEARS! Our part in the project will be the easy one. We’ll be using our Princess 39 Cecienne – recently returned from a voyage to St. Petersburg in Russia, – as support and safety boat for the team and as a platform to gather footage including drone footage of the trip. Come on folks, it’s a great cause and a vital issue. Please go to Mike’s Just Giving page and make a generous pledge! 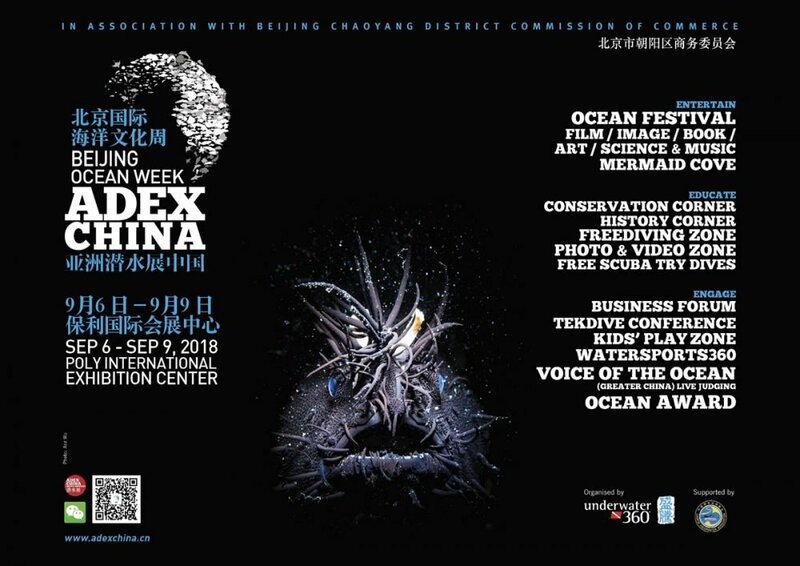 Just been invited all expenses paid to give a film show in Beijing China in early September to present “Castro’s Secret Reef” at the Ocean Week Festival which is part of China ADEX – Asian Diving Expo.